Indira Gandhi Intl. 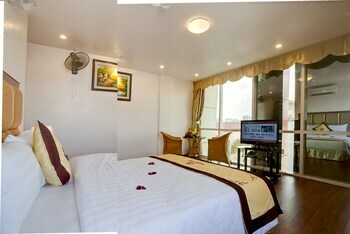 - Noi Bai Intl. Chhatrapati Shivaji Intl. 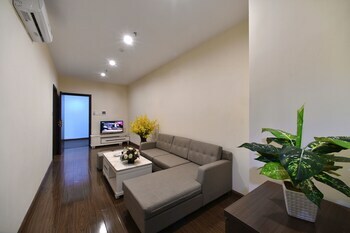 - Noi Bai Intl. Explore an Asian country that beguiles visitors with its ancient temples, modern high-rises, forest-covered mountains and gorgeous beaches. Vietnam has a growing economy, upgraded transportation infrastructure and many fascinated tourists. Find modern cities, historic centers and spectacular scenery in this energetic country. 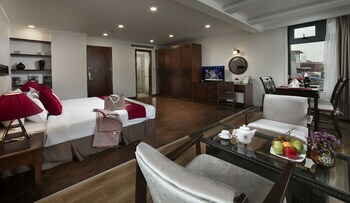 Start your visit in the northern capital of Hanoi, Vietnam’s main cultural center for more than 1,000 years. Gain insights into the history and culture of the country’s many ethnic groups at the Vietnam Museum of Ethnography and a local perspective of the Vietnam War at the B52 Victory Museum. Wander around the 10th-century Temple of Literature, dedicated to the Chinese philosopher Confucius. Join locals for early morning tai chi near Hoan Kiem Lake. 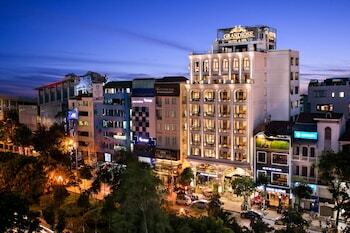 In southern Vietnam is Ho Chi Minh City, a business and financial hub. Skyscrapers tower over ancient temples and old colonial buildings. Sample wares from stall holders sell their wares next to trendy bars and upmarket boutiques. Look down from the Saigon Skydeck, an observation platform on the 68-story Bitexco Financial Tower. Visit the grounds and 18th-century temple of the Giac Lam Pagoda. 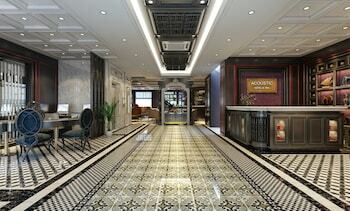 For an enjoyable cultural experience, watch a musical performance at the Saigon Opera House. Travel about 25 miles (40 kilometers) outside of Saigon to walk crouched through the Cu Chi Tunnels, a huge underground complex used by soldiers during the Vietnam War. Explore vast swathes of countryside as well. Cruise the narrow waterways of Vinh Long in the Mekong Delta. Trek through the hills and valleys of Sapa in the northwest or hike along mountain trails in the central highlands. Vietnam’s coastline is home to superb beaches. Relax under a palm tree on Nha Trang Beach and snorkel at the Vung Tau seaside resort. 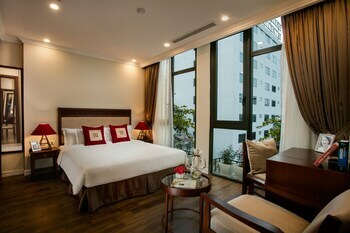 Reach Vietnam by flying into one of its three main international airports at Hanoi, Ho Chi Minh City or Danang. Use cycle or motorized rickshaws as a fun way to get around the cities or rent a car or bicycle. Many visitors forgo local buses, as they may be crowded and without air conditioning. Vietnam is a good choice for a getaway for its culture, scenery and history. Thousands of jagged, green peaks rising out of the emerald waters, surrounded by the colourful sails of traditional boats, give this bay an almost magical appeal. Nestled on the beach, this Ngũ Hành Sơn resort is just steps away from Non Nuoc Pagoda and Marble Mountains. My Khe Beach and Non Nuoc Beach are also within 1 mile (2 km). 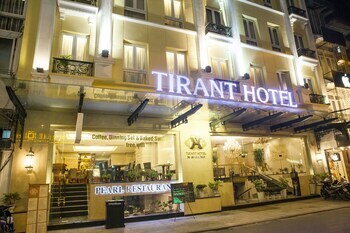 Located in the heart of Ho Chi Minh City, this luxury hotel is within a 15-minute walk of Tu Du Hospital and Pham Ngu Lao Backpacker Area. 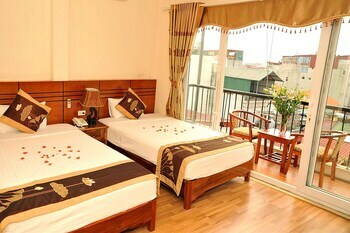 Bui Vien Walking Street and An Dong Market are also within 1 mile (2 km). Nestled on the beach, this Ngũ Hành Sơn resort is within 3 mi (5 km) of Marble Mountains and Da Nang Golf Club. Asia Park and Dragon Bridge are also within 6 mi (10 km). 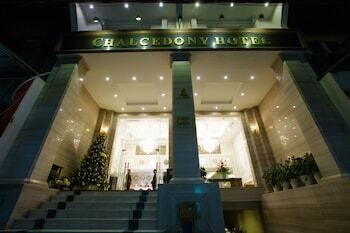 Located in Ngũ Hành Sơn, this spa hotel is within 1 mi (2 km) of My Khe Beach and Han River. Dragon Bridge and Vincom are also within 3 mi (5 km). Netaji Subhash Chandra Bose Intl.